When Pete and Rosann Way founded Cataumet Boats in 1959, their business plan was simple: offer only premium products, support the product with superior service and listen to the needs of the customer. Times have changed; the business philosophy has not. The second generation at Cataumet Boats, Pete Way, Jr. and Sheila (Way) Giancola, remains focused on the philosophy behind the company's long-term success. "Their strong family values are interwoven into the fabric of the business," says customer Andrew J. Eaves, "and that is reflected in the high level of service and respect they show their customers and each other." When Pete Sr. opened Cataumet Auto-Marine in the quaint Cataumet section of Bourne, Massachusetts, he was driven by his passion for boats and cars – anything with an engine. The company in its infancy had one product and one product only – service. Exceptional service is defined by the ability to consistently do the job right, when promised and in a professional and courteous manner – nothing more, nothing less. The unwavering commitment to an exceptional service experience remains the core around which the entire business revolves. "It starts and ends with service – that's our primary focus," says Giancola. "We just love boats and taking super care of our customers!" "We purchased our Grady-White Voyager 248 from Cataumet Boats in 2000," says Dennis J. Fox of Woods Hole, Massachusetts. "They know their products and how to keep the customer satisfied . . .I've never missed a fishing trip or family outing waiting for repairs to be completed. I'll never go anywhere else for my boating needs!" 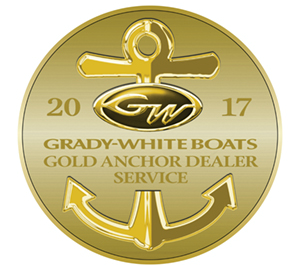 Five decades and two generations later, Cataumet Boats has consistently earned the reputation as one of the premiere Grady White dealers in the world. 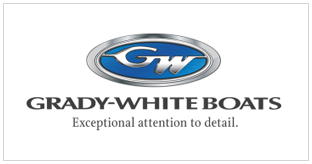 Grady White demands excellence from every facet of their business. They understand that to deliver a truly world class experience, every employee, supplier and dealer must be equally driven to excel. 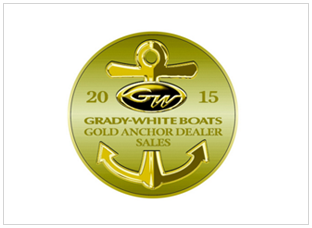 "Our relationship with Grady White has grown stronger and even more committed over many years. We continually push each other to improve and to grow", says Way Jr."We share the same core values and are very grateful to have such a phenomenal business partner." If you are in the market for a new or used boat, but are uncertain about where to start, talk to Cataumet. Buying a boat is a big deal, but it doesn't have to be a big production. Whether it's your first boat or your fourth, many owners are just not sure what to expect. Where do I start my search for a boat? What makes one boat "better" than another? Who will take care of me when I have a problem? What do I do with my boat at the end of the season? Relax! Cataumet has you covered from Narragansett to Provincetown. They are your personal boat consultants. Cataumet Boats keeps your boating world simple and hassle-free. for 2012, 2013, 2014, 2015 & 2017!